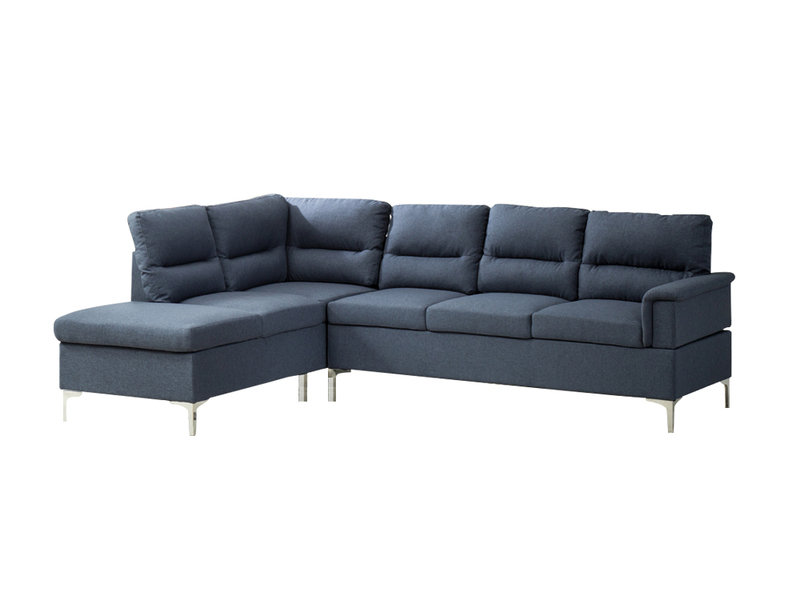 The Titanic 6 Seater Sectional is our largest sectional sofa with large cushions for comfort in a trendy grey fabric. The silver metal feet of the sofa add to the modern feel. 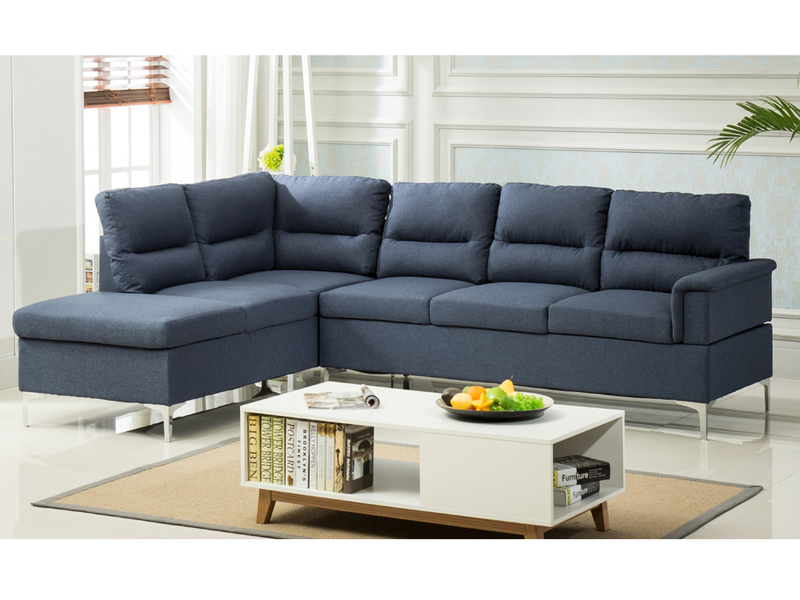 For a larger living room, it will accommodate a nice sized group of friends. The modern look and a rich hue of the fabric makes it a strong piece in your living room design and will shine with a large coffee table and an accent chair. This sectional is part of a cost effective package in our living room package section. Rent this Titanic 6 Seater Sectional from Inhabitr today!